This is the internet site for me and my persona. Last but not least, COOL! My interest in computers and technology triggered me to take a bachelor degree in communication technology at Bergen University College. Following up I also did a master of science in informatics at the University of Oslo. In my thesis, “Evaluation of Wireless Sensor Networks for Environmental Monitoring”, I programmed a rudimentary version of the routing protocol RPL, which was tested in the church of Laksevåg. While studying I also pursued another interest of mine, sound technology. 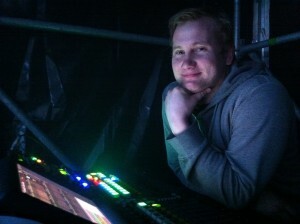 Being a volunteer sound engineer in a church evolved into doing freelance sound work. Concerts, events and conferences have been lucky victims of my presence as a sound engineer. As my education is now finished, I am now looking for work with communication technology and computers. Routing and switching is the main area of interest, programming, and linux system administration are also interests that takes up my spare time.